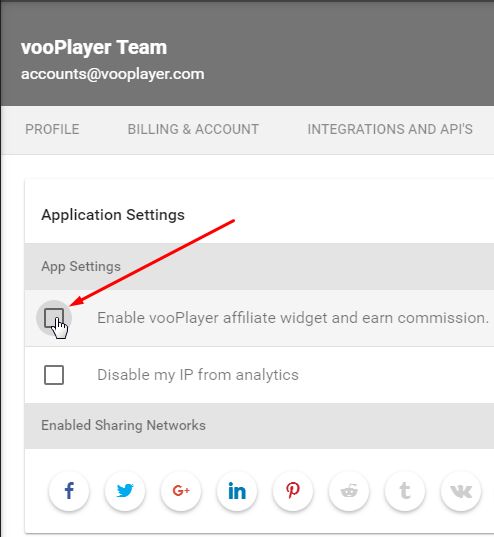 The vooPlayer logo/widget is automatically linked to your vooPlayer affiliate link. What it means is that anyone who clicks on it and purchases vooPlayer will pay you a commission. For more information on our affiliate program, please click here. The logo can be disabled in both Pro and Enterprise license accounts. 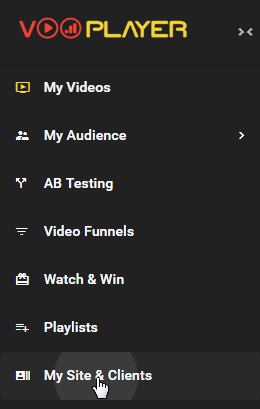 To disable that widget, just click on your username at the top, go to Application Settings then un-check the corresponding box. It is necessary to own the Enterprise license in order to completely re-brand the Watch Page. You can achieve this by configuring your Custom Domain, Logo and Site under My Site & Clients module. Open the GIF in a new tab to view it in the better resolution or click here to view the real example.